Today's world is burdened with the need for potable water even with the numerous water bodies that exist. Among several other techniques, adsorption has become widely used for the removal of inorganic and organic micropollutants from aqueous solution and numerous adsorbents for water treatment have therefore been prepared over the years. A class of adsorbents currently receiving growing attention is the clay–polymer nanocomposite (CPN) adsorbents. CPNs effectively treat water by adsorption and flocculation of both inorganic and organic micropollutants from aqueous solutions. Some of these CPNs – when modified with biocides – also have the ability to efficiently remove microorganisms such as Escherichia coli, Pseudomonas aeruginosa, Staphylococcus aureus and Candida albicans from water. CPNs are far more easily recovered from aqueous media than neat clay. They also exhibit far better treatment times than either polymer or clay adsorbents. 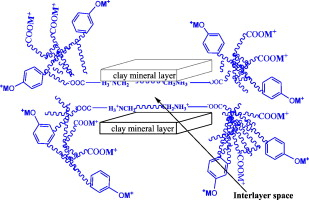 They have higher adsorption capacity and better life cycles compared with clay alone. CPNs therefore show an excellent potential as highly efficient water and waste treatment agents. This article reviews the various CPNs that have been prepared recently and used as adsorbents in the removal of micropollutants (inorganic, organic and biological) from aqueous solutions. A special focus is placed on CPNs that are not only interesting from an academic point of view but also effectively reduce the concentration of micropollutants in water to safe limits and also on new developments bordering on CPN use as water treatment agent that have not yet realized their full potential.